Many lakes have been spilling and who would have ever thought that going back into last Autumn. It was normal in the past to plan on a trip to the Macquarie River in early October for the Red Spinner hatch. Not this year. Tasfish is looking for article contributions. Currently there are over 2000 article - from "I caught a fish today" ... to essay length documentation of multi day sagas! So, it's still summer, the fish are biting (we hope!) 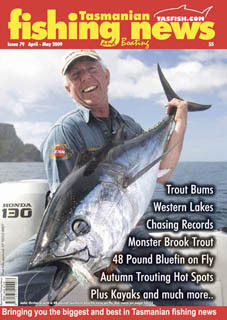 and what better thing to do help our fishing community than to send Mike an email telling him about your big adventure. Please include a picture. It may take 24 hours for the article to publish. Or maybe 5 minutes! It depends on how busy you make me. Accept that as a challenge. So, get fishing ... then get writing and send them in to Mike. So, its summer, the fish are biting (we hope!) and what better thing to do help our fishing community than to send Mike an email telling him about your big adventure. It may take 24 hours for the article to publish. Or maybe 5 minutes! It depends on how busy you make me. Accept that as a challenge. Well firstly, we survived the great Hack and Crash of 2016 ... Thanks to support from 41stdegree and relocation to Netvirtue we are now better, stronger and more informative than ever ! NetVirtue supplied incredible support in the re-construction and restoration of the site. Articles have an assciated "tag" to make searching easier. Some categories now include a google map, for example, look at Lakes. Here is a list of all the "tags"
And special thanks to Mike for his patience and support. They go way back to 2004 - Drop by and have a great read. 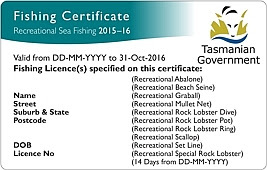 Recreational sea fishing licences for abalone, rock lobster, scallops, nets and set lines are now available from Service Tasmania and online. Please note that licence refunds will not be granted if you are unable to fish in some waters due to biotoxin closures. Read more below. 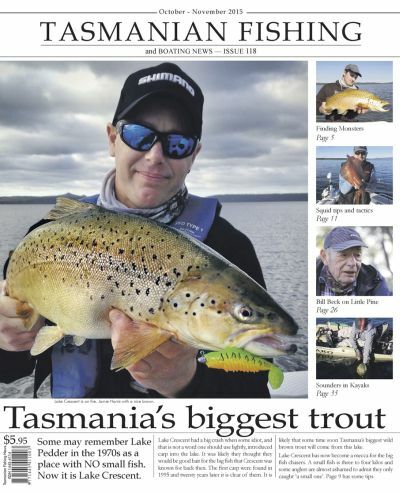 Have you got Tasmania's best fishing information source? 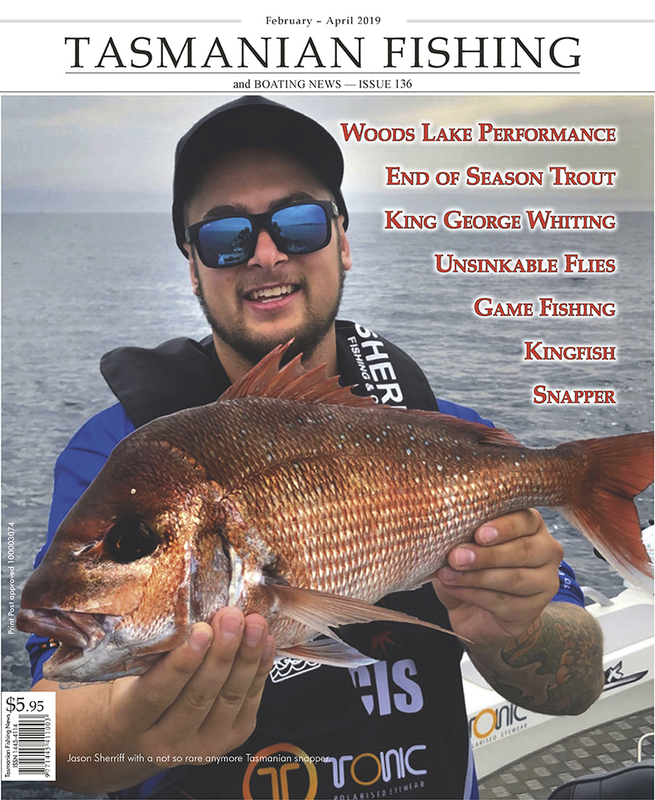 The October edition of Tasmanian Fishing and Boating News covers a broad range from small fish waters to kayaks, monster trout, Western Lakes, Bill Beck and sustainable seafood. 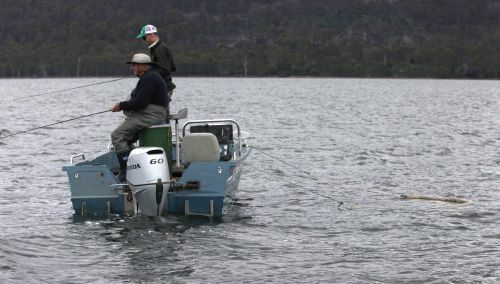 It is a glorious time of the year as weather warms, days lengthen and fishing improves.